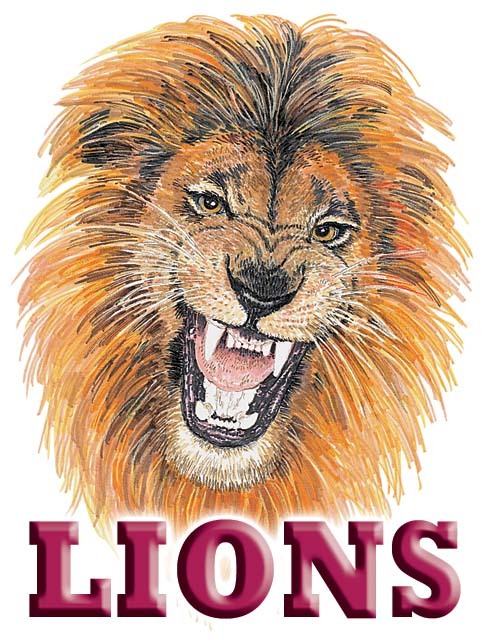 JEWETT – The Lovelady Lady Lions traveled to Jewett on Tuesday, April 9 for a matchup against the Leon Lady Cougars in a game with huge playoff implications. The Lady Lions were two games behind the Lady Cougars in the District 21-2A standings with only five games remaining in the regular season. A win and Lovelady was right back in the chase for the district championship. A loss, however, would knock them into third place. The game was close throughout as both teams struggled to score runs. Unfortunately for the Lady Lions, it was the Lady Cougars who prevailed in extra innings, thanks to a walk-off HR from Leon’s Maci Bumpurs. Bumpurs got the start for Leon and struggled with her control in the early going. The first batter she faced was Jacy Stubblefield who grounded out to first. Makayla White was up next and drew a four-pitch walk. Amber Mikes followed in the order and laid down a perfect sacrifice bunt which moved White to second and allowed her to reach first safely. After White stole third, Mimi Sandoval slapped a shot into left which scored White and allowed Mikes to sprint around the bases to cross the plate, giving Lovelady an early 2-0 lead. The Lady Cougars didn’t panic, however, as Sandoval was gunned down trying to steal second while Bumpurs caught Linda Martinez swinging at strike three to end the top of the first. When Leon came to bat in the bottom of the inning, the Lady Cougars managed to tie the game at two. Sandoval was in the circle for Lovelady and walked Caroline Richmond on four consecutive pitches. After striking out Jenna Bumpurs, Sandoval gave up a double to Rosemary Rivera which drove in Richmond. Kassidy Cravey followed with a double of her own to plate Rivera, but Cravey was thrown out on the play. With the score now tied at two, Sandoval rang up M. Bumpurs to end the inning. With the score still 2-2 at the start of the fifth inning, M. Bumpurs was lifted for Cravey while Sandoval was relieved by Mikes. While Cravey worked an easy 1-2-3 inning, Mikes struggled a bit. Mikes walked Allee Pervis to lead off the bottom of the fifth but coaxed a fly ball out from Richmond and got J. Bumpurs to foul out to Martinez, behind the plate. Rivera drew a walk to put runners at first and second but Mikes kept her composure and forced Cravey to pop-up to second to retire the side. Cravey was dealing when she went to the circle in the sixth. She caught both Stubblefield and White looking at strike three and then got Mikes to swing at strike three for an easy top half of the inning. In the bottom of the sixth, Mikes looked to match Cravey pitch-for pitch as she struck out M. Bumpurs and forced JoBeth Eddings to pop weakly to short. Maddie Thomas was up next and reached on an error which proved costly for the Lady Lions as Caitlyn Crane followed with a triple to center to drive in Thomas with the go-ahead run. Mikes settled down, however, to get Pervis to pop up for the third out. Down 3-2 and down to their final three outs, the Lady Lions showed their resiliency. Sarah Thompson led off the bottom of the seventh with a single to right and moved to second on a walk to Martinez. Thompson was caught stealing third and Erin Sample popped up for the second out. Lovelady was down to its final out, but Bailee Albinus came through in the clutch as she ripped a single into left. Martinez was running on the pitch and made it to third. An error in the outfield gave Martinez the opportunity she needed to sprint home and tie the game at three as Albinus trotted into second. Cravey regrouped, however, and forced Rylee Biedrzycki to pop back to the circle to retire the side. Mikes worked an easy bottom of the seventh and then Cravey did the same in the top of the eighth. Unfortunately for Lovelady, disaster struck in the bottom of the eighth. M. Bumpurs was at the plate and worked a full count from Mikes. On the sixth pitch of Bumpurs’ at-bat, Mikes left a pitch a little too high in the strike zone. Bumpurs pounced on it and deposited the ball over the fence in center field to give Leon the 4-3, walk-off win. The loss knocks the Lady Lions into third place in District 21-2A with a record of 7-3 while Leon remains in first with a 10-0 mark in district play. The Grapeland Sandiettes are in second with an 8-2 record and faced the Lady Cougars on Friday, April 12. As of press time, the score for that game was unavailable.